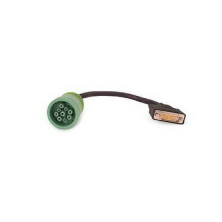 JPRO DLA+ 9-pin dual CAN cable. Includes Freightliner, Detroit, and ServiceLink coverage. This cable can not be used with DLA+ 2.0.